Bring your creativity to the next level with these fun, innovative projects. Take home tips and tricks and empowering knowledge! 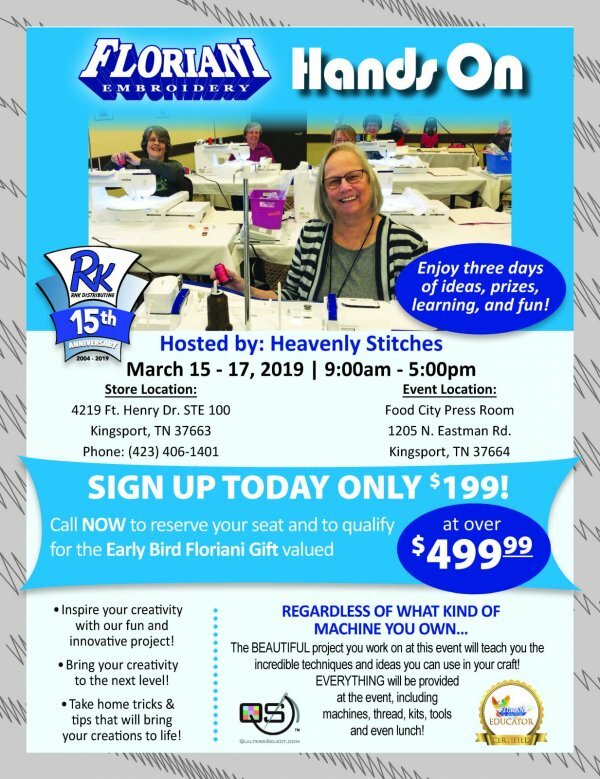 Whatever brand of machine you own, the beautiful projects you work on at this event will teach you skills and techniques for perfecting your craft! Everything you need will be provided, including machines, tools, thread, kits, and even lunch and snacks! 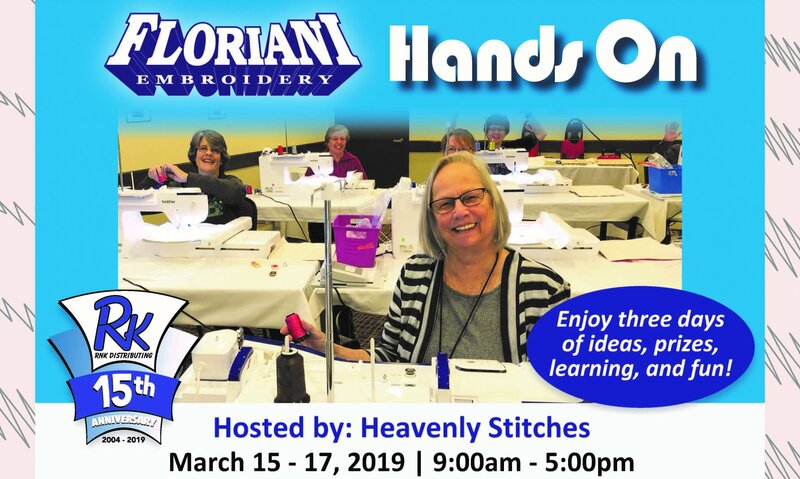 If you register before March 1, 2019, you will also receive a Floriani gift box worth more than $499! This is a firm deadline due to timing and shipping--register early so you don't miss out! Place: This workshop does NOT take place at the shop. Instead, please meet us at the Food City Press Room, 1205 N. Eastman Rd. in Kingsport.